Thumbing through the pages, I see that this Bible was given as a gi ft to the new Mrs. Ella Virginia Hartley on December 20, 1893 in Washington, DC. Now it sits in an air-conditioned suburban home in North Carolina, 2014 read by well, me! How symbolic to remember that God’s Word contains many undiscovered treasures if we would just open it and look. 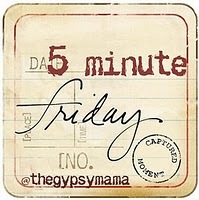 Special thanks to Lisa Jo Baker’s Five Minute Friday writing prompt! I never know what I’m going to be writing about! Join us and see what it’s all about! This makes me smile. I was recently given a huge family Bible when my grandmother went to be with Jesus, becasue noone else wanted it. Of course, I did but what blessed me more was that there were handwritten notes inside. Study notes from my grandparents, both of them. My grandfather left to be with Jesus long long ago when I was young and I have missed him nearly every day. Now that they are both in that heavenly host cheering us on, I rejoice that I have just a few reminders of their heart here passed on to me. And like you, I found a perfectly pressed red rose in the pages of the Bible in the book of John. Love. 🙂 It is such a treasure to find a message like that. Loved everything about this post. What a gift! And what a heritage to have such a bible to look at! I love the history of old family Bibles. I have my great Aunt’s Bible from the early 1900’s. I also love the reminder that God’s word contains many treasures as long as we take the time to look.